Three games later Bautista Agut smacked a forehand winner down the line to seal the win, which was reminiscent of Bautista Agut's come-from-behind victory over Djokovic in the semi-finals of the Qatar Open in January. "The key of the match was at the beginning of the second set," Bautista Agut said after his latest victory. "I played more aggressive." The Serb said he would "rethink" how he prepared for the early-season American swing next year. "I just had way too many things off the court," he said. "I guess that affected me a little bit on the court. 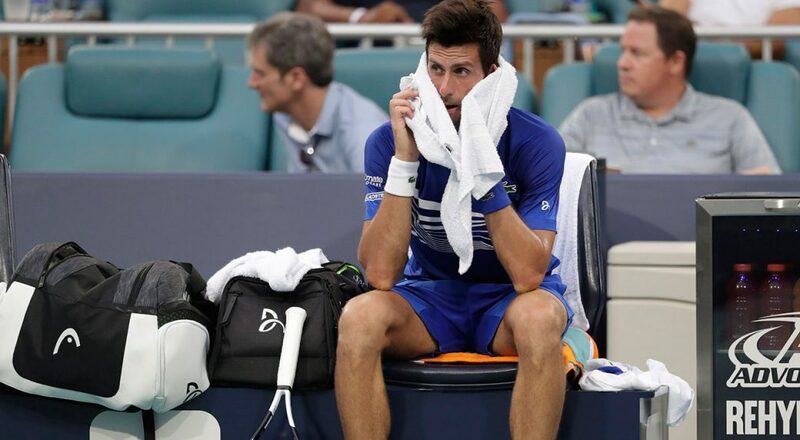 Djokovic was eliminated before an evening rain delay pushed Roger Federer's match against Russia's Daniil Medvedev back to Wednesday. Next up for Bautista Agut is a quarter-final date with defending champion John Isner, who was a 7-6(5) 7-6(3) winner over Britain's Kyle Edmund earlier in the day.